You may click on images to enlarge in a new window. 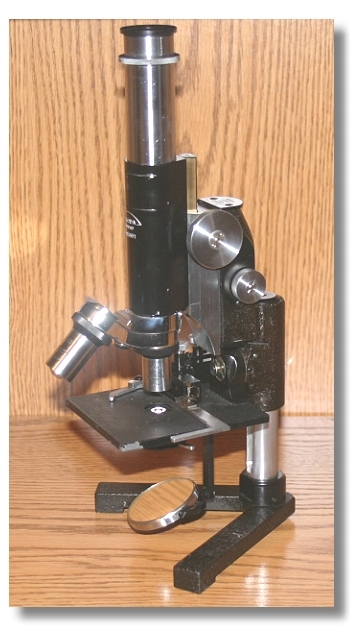 A remarkable microscope, the little Tioyda MKH, is reminiscent of the Reichert 'Heimdal' Field Microscope. The scope came to me outfitted with a 5x ocular, 2 position turret, 10x/0.30, 40x/0.65, and 90x/1.25 NA oil achromat RMS objectives, working x-y mechanical stage, and adjustable condenser with iris diaphram and filter slot with a daylight blue filter. 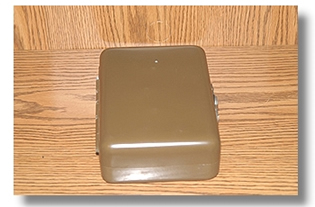 The case also has receptical for a small vial with glass stopper for oil immersion and another for solvent I assume, as this one is missing the vial. A light source is reflected via a flat and concave mirror assembly. 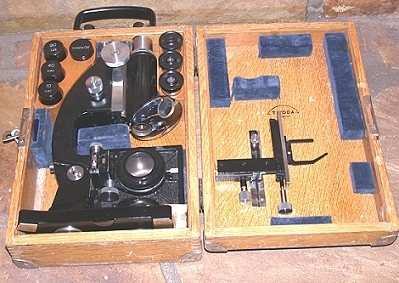 For storage the feet fold in, the stage and mirror fold to the side, the main tube pushes up into the arm and the ocular tube down and fits neatly in the metal case which is 17.8cm x 12.7cm x 5.7cm (7"x 5" x 2.25"). 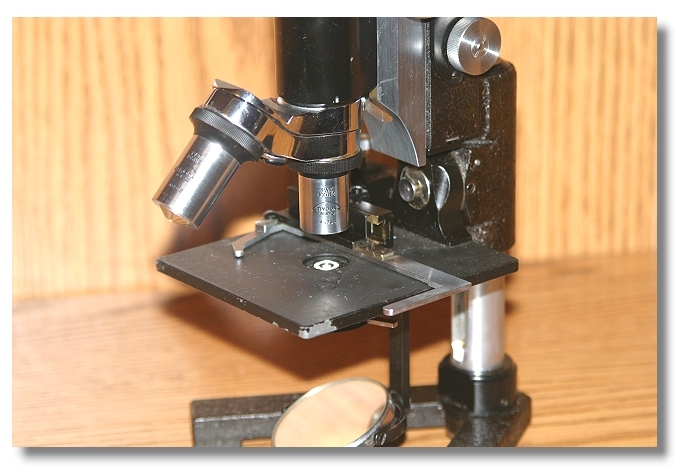 The microscope was purchased on eBay and arrived frozen from hardened grease, with a few evenings well spent, I managed to free all moving parts. The view through the Tiyoda objectives are far from flat so I tried some of my Wild achromat objectives and they work well, in that regard, I believe the MKH to be 160mm TL, if so, finding additional objectites poses no problem but watch the length (JIS 36mm and DIN 45mm) as the "stop" is set for the JIS 36mm objectives. Although not a heavy frame it was still fairly stable and the controls easily within reach. 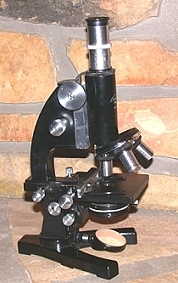 I am delighted with this small microscope and I am proud to add it to my collection. You can use AltaVista Babel Fish to translate. 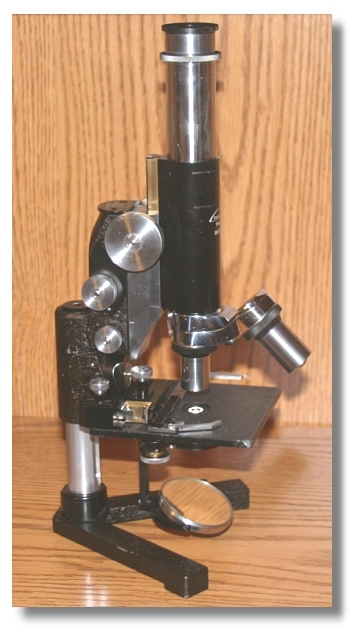 There is little information on these microscopes to be found, so if anyone has additional documentation on this model, please contact me. 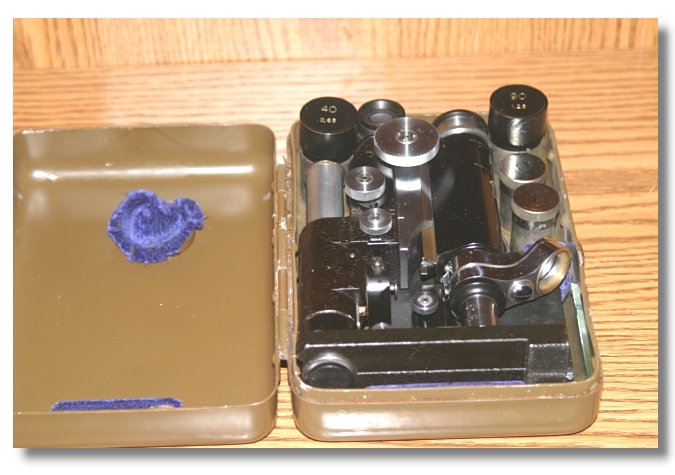 Further investigation led me to this, another similar scope the "Kyowa field scope" looks exactly like the Tiyoda, both coming from Japan, one might conclude they may have been made by the same manufacturer. 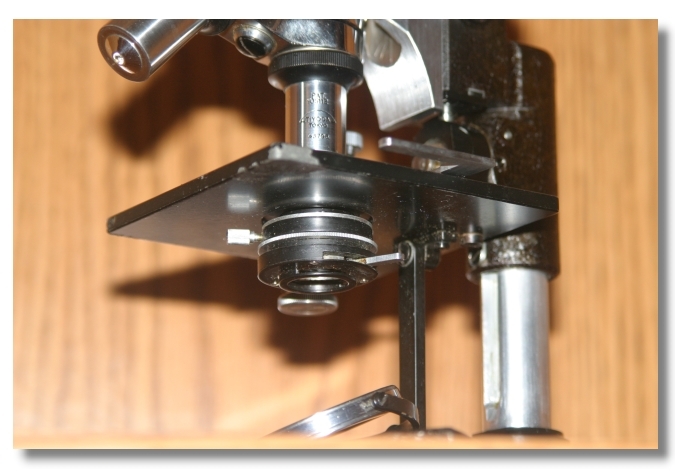 Thank you Mike Dingley of Australia for your fine work on field microscopes and reference to the Reichert 'Heimdal' Field Microscope! All comments to the author Jay Stanley are welcomed. 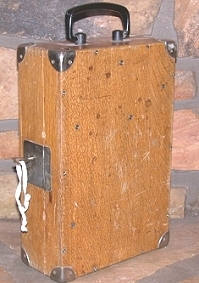 Published in the August 2006 edition of Micscape.